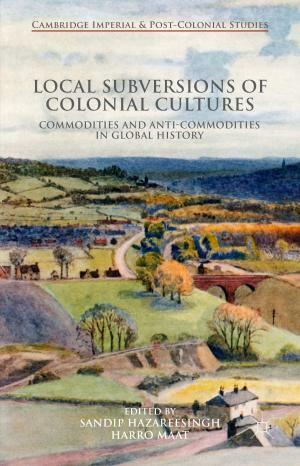 Edited by Sandip Hazareesingh and Harro Maat, Local Subversions of Colonial Cultures: Commodities and Anti-Commodities in Global History was published by Palgrave Macmillan in 2016. This book brings together original, state-of-the-art historical research from several continents and examines how mainly local peasant societies responded to colonial pressures to produce a range of different commodities for distant markets. It shows how producers were often able to subvert these processes in their quest for viable alternative livelihoods. In particular, it introduces the fresh concept of the ‘anti-commodity’, to indicate local, sustainable forms of production steeped in values other than simply economic ones. The book will appeal to readers eager to find out more about the histories of some familiar items of everyday consumption such as rice, cotton, sugar and tobacco, as well as to those with a keen interest in the histories and cultures of African, Asian and Caribbean societies. Finally, it offers new directions in both historical and contemporary research on the continents beyond Europe. The book is a result of the Commodities and Anticommodities project, in which Commodities of Empire was involved in collaboration with the University of Wageningen.